Bank of America Merrill Lynch downgraded homebuilder stocks Toll Brothers, PulteGroup and NVR as the investment bank lowered its homebuilding estimates for 2018 and 2019. “This morning BofA Merrill Lynch’s US economics team lowered its 2018-2019 housing starts and new home sales forecasts and thus we slightly temper our macro housing assumptions,” analyst John Lovallo said in a note Thursday. Lovallo downgraded Toll Brothers, PulteGroup and NVR to neutral from buy. He also lowered his price target on Toll Brothers to $38 a share from $47. The analyst trimmed his target on PulteGroup shares to $28 from $32 and NVR to $2,850 from $3,060. Toll Brothers and PulteGroup fell 2.2 percent and 1.9 percent in the premarket, respectively. NVR’s stock was unchanged. 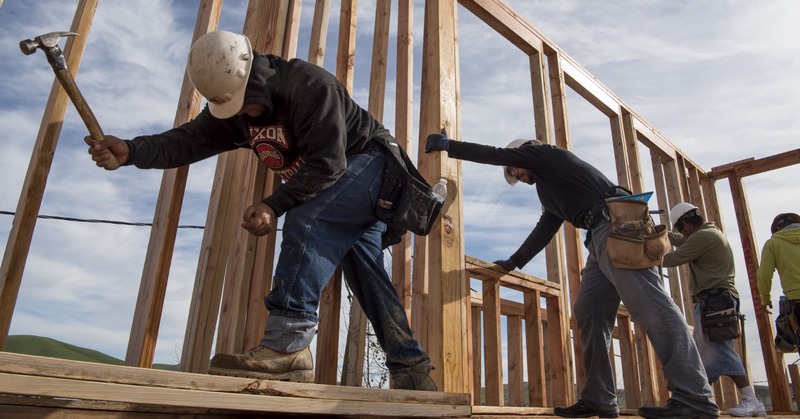 The downgrades and Bank of America’s reduced estimates for housing starts come after the Commerce Department said Wednesday that building permits fell 5.3 percent last month, more than expected. Analysts at Credit Suisse downgraded homebuilding stocks, along with Home Depot and Lowe’s, earlier this week on higher rates hurting housing demand. Homebuilders have been under pressure in October. The iShares U.S. Home Construction ETF (ITB) is down nearly 10 percent for the month through Wednesday’s close. This sharp drop coincides with a surge in interest rates. The 10-year note yield hit its highest level since 2011 last week. Bank of America now expects housing starts to total 1.26 million this year and 1.3 million next year. Lovallo notes that Toll’s valuation may be too high given some moderation at the high end of the housing market. Toll Brothers’ stock has fallen more than 5 percent this month. The stock has also dropped more than 25 percent this year.